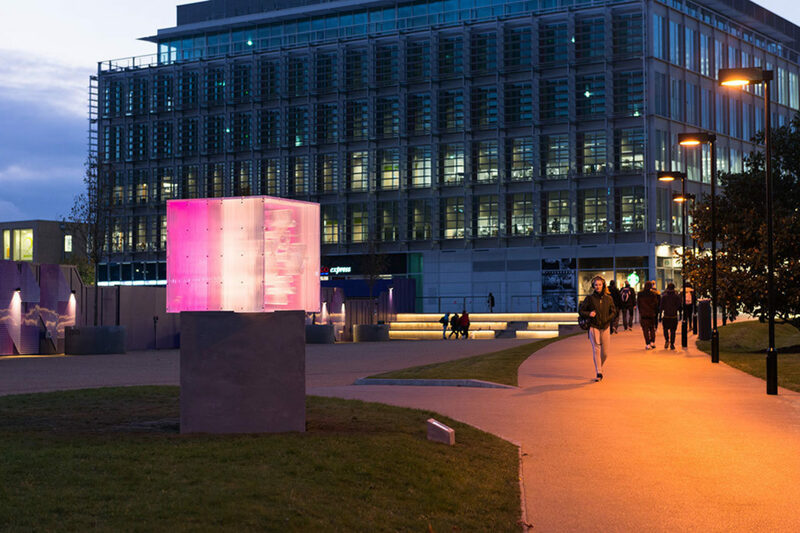 London-based design studio Tiipoi has unveiled Kōlam Light, a new, site-specific light installation at White City Place in West London. 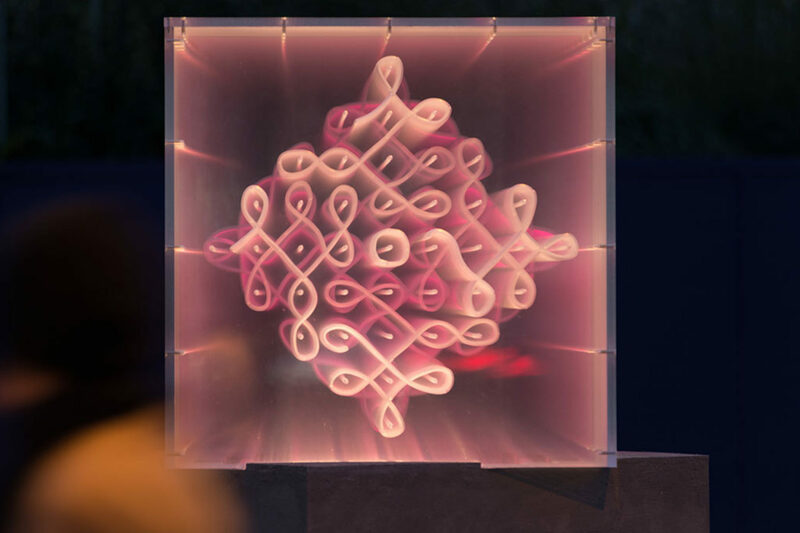 Inspired by the traditional South Indian ritual of Kōlam, which sees families drawing daily patterns outside their homes, Kōlam Light will act as an ever-changing beacon for for all those who pass it at White City Place. 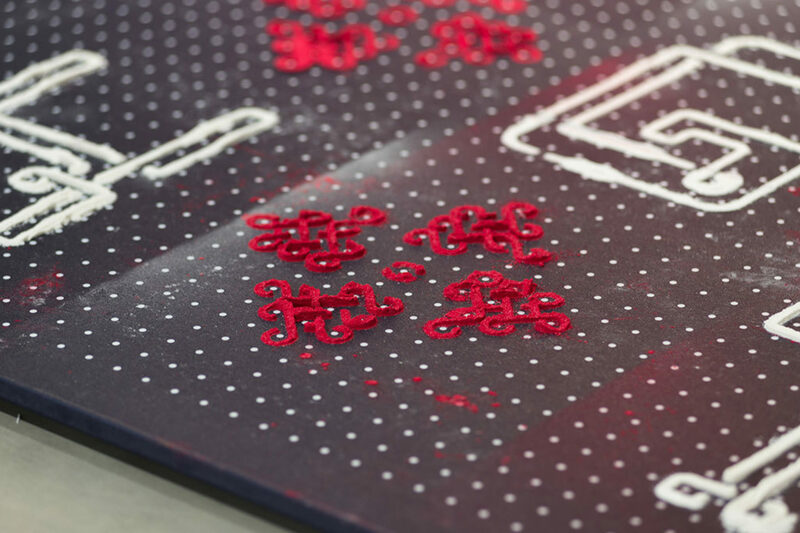 Traditionally made from rice flour, the Kōlam takes the form of a geometric drawing, almost absent-mindedly drawn but dense with meaning. Meticulous and unique pieces of art, these are then washed or blown away, creating space for a new concept to be created the next day. 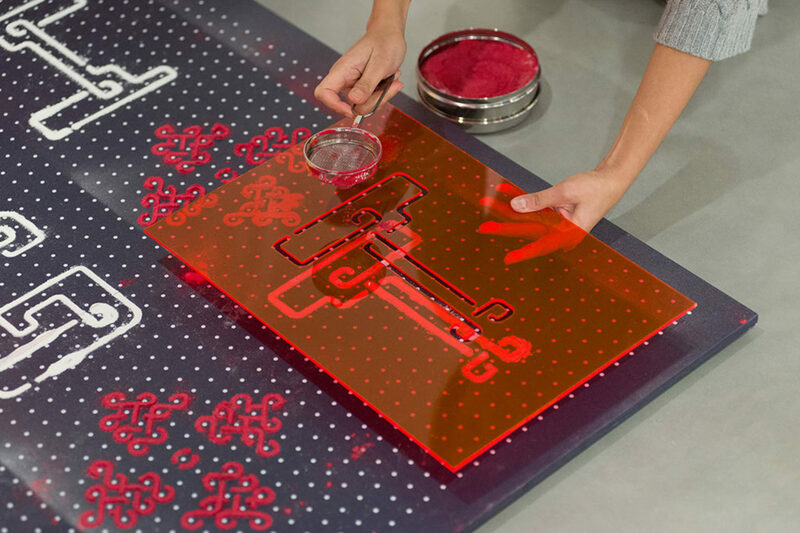 Tiipoi’s artwork updates this concept by using layers of acrylic through which a series of strip lights draw a subtle pattern, taking a different colour and light path every day. 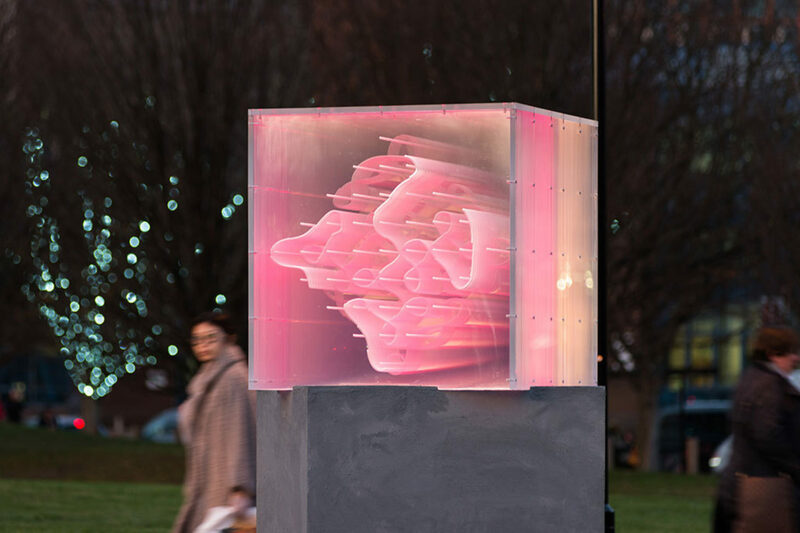 Capturing the spirit and mood of the people passing by, the Kōlam then slowly moves and disappears throughout the day, leaving space for a new design to appear the next morning. 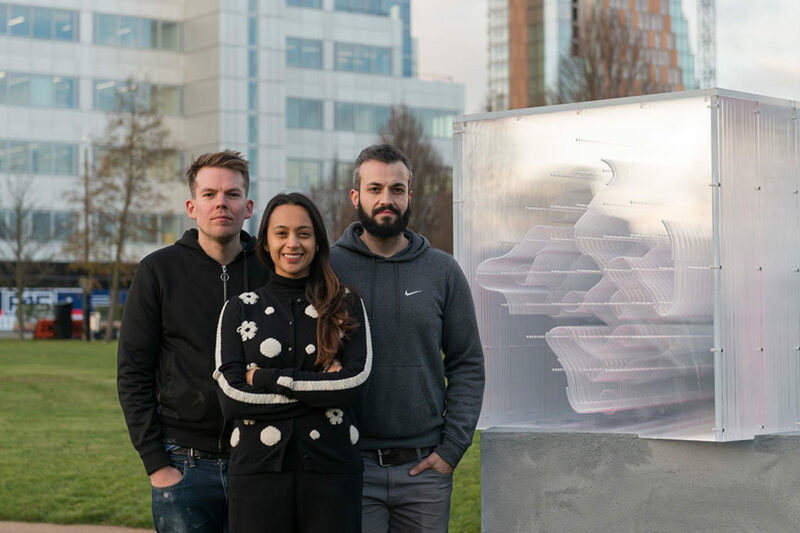 During the day, the installation will give off a meditative glow, while at night it will add warmth to the neighbourhood during the winter months. 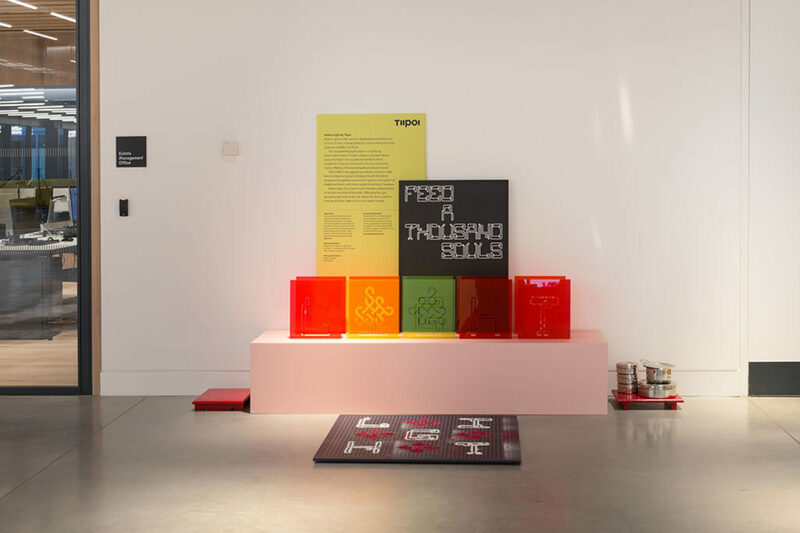 A new exhibition in WestWorks chronicles the inspiration and process behind Tiipoi's Kōlam Light.